Ald. Peter Braithwaite (2nd) listens during a City Council meeting. Braithwaite advocated for the 1727 Oak Ave. age-restricted development that passed City Council 6-2 on Tuesday. Aldermen voted 6-2 on Tuesday to approve a special use permit for a 17-story, age-restricted property development located at 1727 Oak Ave. The development was previously introduced at a City Council meeting on May 14. The proposed development will include 169 rental units, a dog park, a pool and 139 parking spots. However, not all aldermen supported the development. The new rental property raised concerns about parking for nearby buildings and traffic congestion as it passed through committees to council over the last few weeks. The plot currently contains a surface parking lot and the Shand Morahan Plaza. During the public comment section of Tuesday’s City Council meeting, some Evanston residents urged aldermen to vote against the new development. Several residents from Sienna Court, a neighboring condominium building at 1740 Oak Ave., said they were worried about the increased traffic as a result of the development. Fiske and Ald. Melissa Wynne (3rd) both voted against the development. Kurt Sheffer, a Sienna Court resident, told The Daily he ultimately disagreed with the council’s decision to move forward with the development, but will still “try to make the best of the situation.” He also spoke during public comment about the proposed public amenities and affordable housing units in the building. Sienna Court is home to 20 families from the Center for Independent Futures, a nonprofit organization that provides housing for individuals with disabilities. Some Sienna residents said the lack of parking would limit the availability for caregivers who visit the CIF families. Several residents raised concerns about crossing the street with the potential of increased traffic and fast drivers. According to city documents, the new development will add “enhanced” crossing signs and re-stripe the existing midblock crosswalk on Oak Avenue to increase pedestrian visibility. 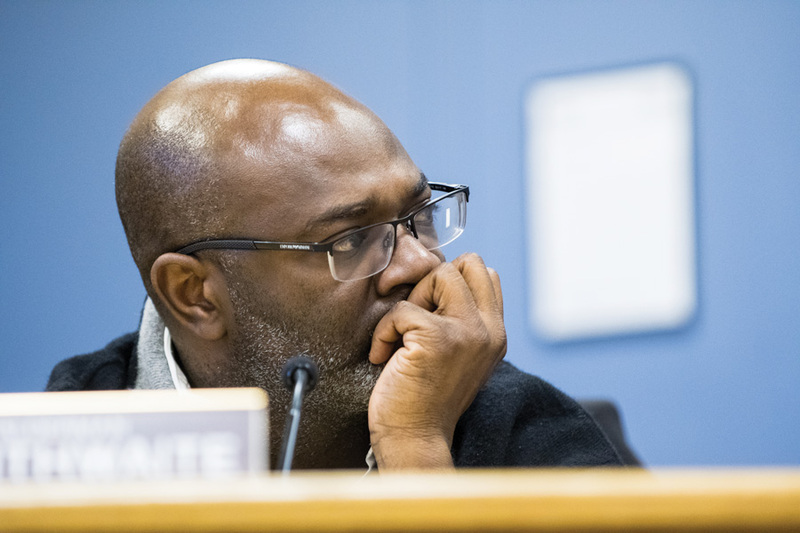 During the discussion of the proposal, Braithwaite said he was committed to finding resolutions regarding the parking questions raised by Evanston residents. He said he talked with the developers to establish designated parking spaces for caregivers from Sienna Court.